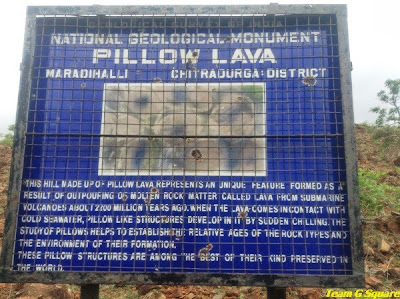 ‘Mardihalli’ is one among the 26 National Geological Monuments of India (GMI), and is being maintained by the Geological Survey of India (GSI). Though we were aware of the existence of this place and have traveled many a times through this route, we had never made an effort to visit this place. 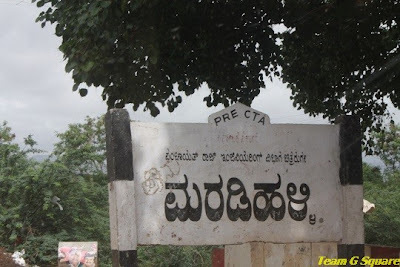 This time around, we made a conscious effort to explore this place and drove towards the village of Mardihalli in Chitradurga. We reached the village without any difficulty. A couple of enquiries lead us to a small rocky hillock near the village. The catch now was to sight, or rather spot the old rocks. 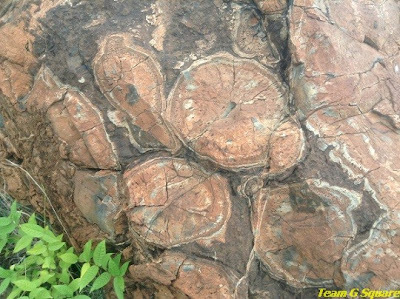 Though we were directed rightly towards the rocky hillock, there was none who gave us proper directions to the old rocks and we assumed that the rocks we were seeing were the ones we had come in search of, until we found a few sign boards belonging to the GSI confirming the same. 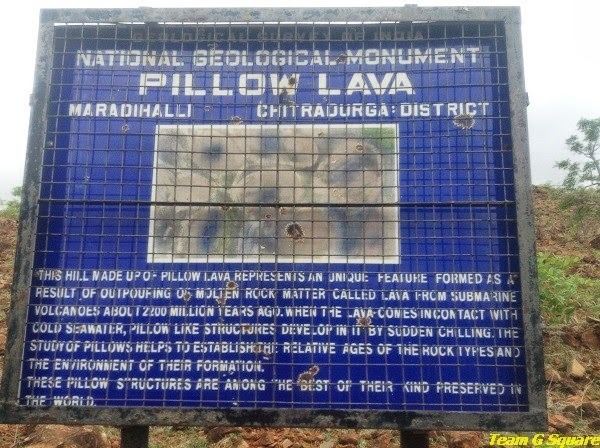 The information board reads, “This is one of the best preserved Pillow Lava surviving in the world. 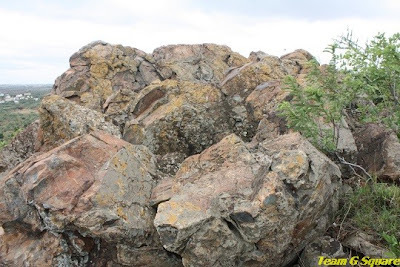 The Pillow Lava rocks are formed when hot molten lava erupts under water and solidifies in the form of roughly spherical or rounded pillow-shape. The Lava gets chilled so suddenly that, part of the flow separates into discrete rounded bodies a few feet or less in size. 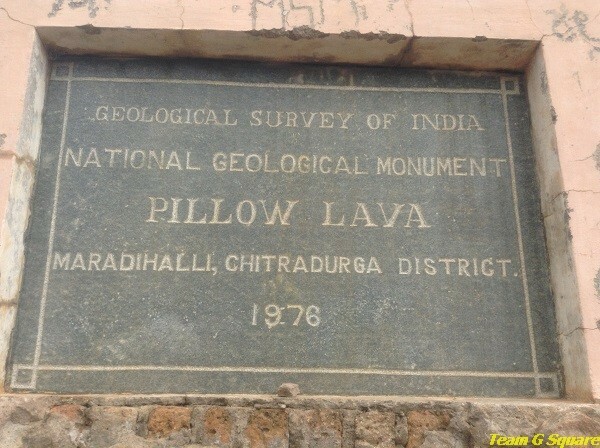 This Pillow Lava has been dated 2500 million years”. The shepherd we met on the hillock also said that occasionally people visit this rock from foreign countries in order to study it. This being one of the 4 GMI sites in Karnataka, the others are located at Lalbagh (Bangalore), St Mary’s Island (Udupi) and Peddahalli (Kolar). Amazing! 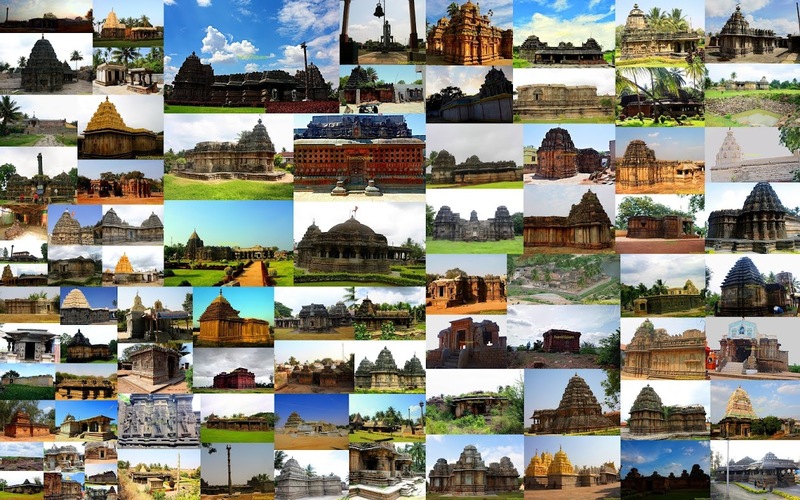 Such wonderful captures of a fascinating place! You do have so many incredible places in your country!! Thank you for sharing, I do look forward to your posts! Hope your week is going well! interesting monument, must see it. This is absolutely fascinating. I've never seen anything remotely this old. I'm glad you found the right spot and that you've shared these interesting pictures and information with us. Incredible images. 2500 million years ago - wow ! 2500 years?! 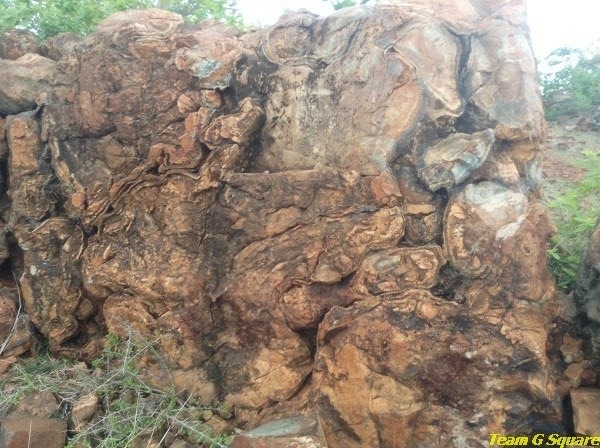 That is really old and it looks so too, those rocks are simply beautiful! Trust you to dig out something amazing like this! Great to know this place. 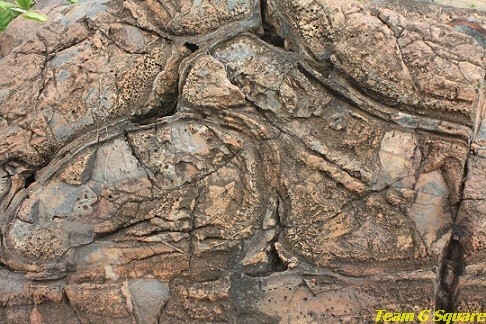 That rock looks just amazing!! Wow! That is an excellent find. Thanks for sharing this informative post! Wow where is this..Looks amazing! This is very new to me, never heard of this place... Wonderful post..